Located in Bangkok tourist district, Glur Bangkok Hostel & Coffee Bar is just 50 m from Saphan Taksin BTS Station as well as from Sathon Central Pier. 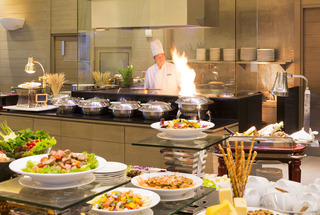 Guests enjoy an on-site restaurant and free Wi-Fi access in all areas. Glur Bangkok Hostel is 30 m from Robinson Bangrak Department Store. It takes a 10-minute drive to Asiatique the Riverfront and just a 2-minute walk to Bangrak local market. Each unit comes with air conditioning and a fan. Personal reading light, electrical socket and luggage locker are included. Hot/cold shower facilities and a hairdryer can be found in the shared bathrooms. 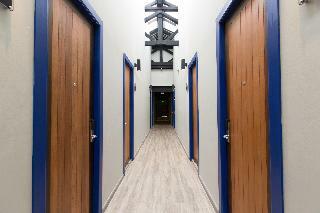 The property provides a 24-hr front desk service, lockers and a shared kitchenette. Guests enjoy a computer centre. There is also a washing machine and a balcony for hanging clothes. Conveniently situated in the centre of the city, the luxury hotel Shangri-La Bangkok enjoys a magnificent location along the Chao Phraya, the “River of Kings”, with marvellous views over the river. The elegant hotel blends perfectly a contemporary design with traditional Thai elements and features a range of first-class services and amenities such as a multiple award-winning spa, fine dining options with river views or a shuttle boat service to Asiatique The Riverfront starts from 5pm till midnight. An ideal hotel to discover Bangkok.Hotel require flight details or arrival time for hotel information. Dheva Residence Suites This 71 rooms Bangkok Residence is located downtown on New Petchburi Road, just a few minutes by subway from Bangkok's business district and shopping centre.Dheva Residence Suites is located Strategically located in Bangkok's busy commercial and retail area, New Petchaburi Road close to Bangkok Hospital, Demeter Residences Suites makes an ideal base for both the business and leisure guest, just minutes away from Sukhumvit a choice of superb shopping centre like Emquartier and Emporium, The Thailand Culture Centre, Queen Sirikit National Convention Centre and several embassies. The subway system is within walking distance. Fast access to the city's expressway system means just a 25-minute drive from the airport and 30 minutes. Prince Theatre Heritage Stay BangkokWe're on Charoen Krung Road in Bangkok, the heart of Bangkok riverside creative district and street food paradise. Artists, foodies and culture hounds flock here to create and collaborate, and of course, to eat and shop! Grab a bite one of the many street food stands or wine ans dine at one of Bangkok's Michelin-Starred restaurants, all a short walk form our front door. Stroll around the leafy backstreets and pop into cool new galleries and boutiques featuring Bangkok's coolest design labels. This comfortable hotel is set in Silom. 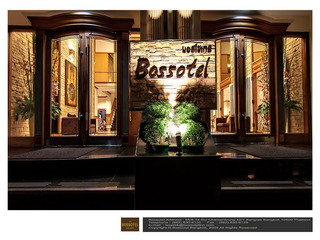 The establishment comprises 72 cosy rooms. 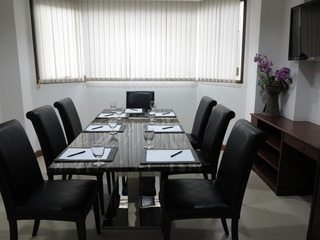 PAS CHER HOTEL includes Wi-Fi internet connection in all public areas and accommodation units. Patrons may contact the reception desk any time during the day. PAS CHER HOTEL provides cots on request for little children. PAS CHER HOTEL has been designed to make guests' stay as easy as possible and features some disability-friendly bathrooms. Pets are not permitted on the premises. Parking and garage facilities are available. Some services may be subject to additional charges. Tha Grand Sathorn, a 4 star luxury hotel furnished in contemporary Western style, is located in the heart of Bangkok's central business district, shopping and entertainment areas, easily access by a short walk to BTS sky train and the Sathorn Chao Phraya River Pier.The Grand Sathorn is a cozy luxury hotel with modern-designed of 79 unique rooms and suites, expansively ranged from 43 to 103 square meters. All accommodation includes complete hotel service and amenities- lounge, fitness room, rooftop panoramic swimming pool as well as cozy meeting on the rooftop.Rendezvous Restaurant, located on 2 floor serves a full range of international breakfast buffet and all-day-dining varieties of Thai and international cuisine.The Cozy meeting room with the space of 60 sqm., daylight and rooftop panoramic city view can accommodate up to 40 guests in theatre style. 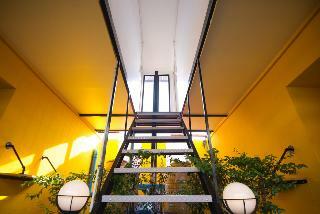 Welcome to “Naga Residence“, a cozy budget hotel that located near by Chao Phraya River. Our rooms had designed for your comfortable & convenience to make you feel at home, each room has flat-screen TV and free high speed Wifi. You can walk to the Krung Thonburi SkyTrain station it's will take only 10 minus, or you can take a river taxi to Asiatique and Bangkok highlights such as Wat Arun, Wat Pho and the Grand Palace. A stay with us is better than ever at prices that you can afford. This modern hotel is located along the Chao Phraya River, offering a lovely garden on the river banks. 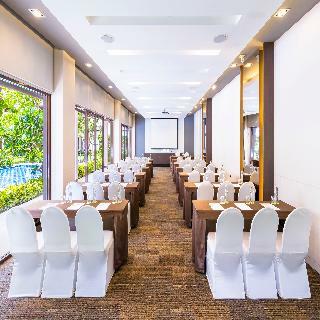 The centre of the vibrant city of Bangkok is about 4 km away, attractions such as the Grand Palace, Wat Arun and Wat Pho temples, Jim Thompson House, China Town, River City Complex, Patpong Night Market or Sri Mariamman Temple are within easy reach. Suvarnabhumi International Airport is 38 km away.